The DSC and the PH are easy to identify (and are verified), but we have drawn a blank on the other three ribbons. 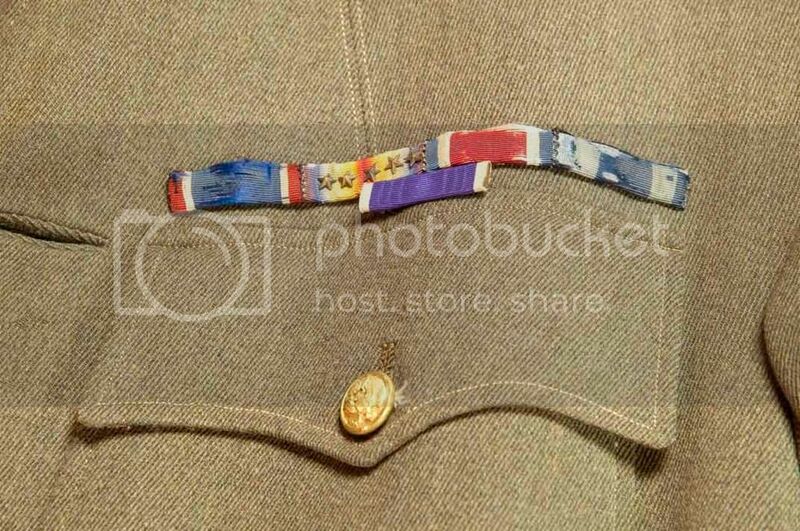 One seems to be a campaign ribbon with 5 subsequent awards, unless its a faded WWI victory medal with campaign stars on it. Do any of you historically inclined guys have any info on these?